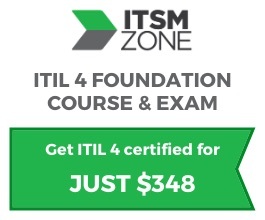 Free ITIL Training is a completely free service provided by ITSM Zone. ITSM Zone are world-leading specialist providers of online, accredited best practice training. Our courses include ITIL, OBASHI, COBIT, DevOps, ISO20000, RESILIA and VeriSM.